Automotive enthusiasts will have the chance to browse the latest models of their favourite cars at the 1st Yangon International Motor Show, which started on Wednesday at the Yangon Convention Centre. The event, which will take place for five days, is aimed at developing and promoting the Myanmar automotive industry, said Mr Anothai Eamlumnow, president of the motor show. International automobile manufacturers such as BMW, Toyota, Suzuki, Ford, DFM, Scania will be showcasing their latest cars and motor technologies at the event. U Khin Maung Soe, a car enthusiast, told Myanmar Times at the exhibition that he has always been a motor head and has plans to purchase a Toyota or Suzuki car. 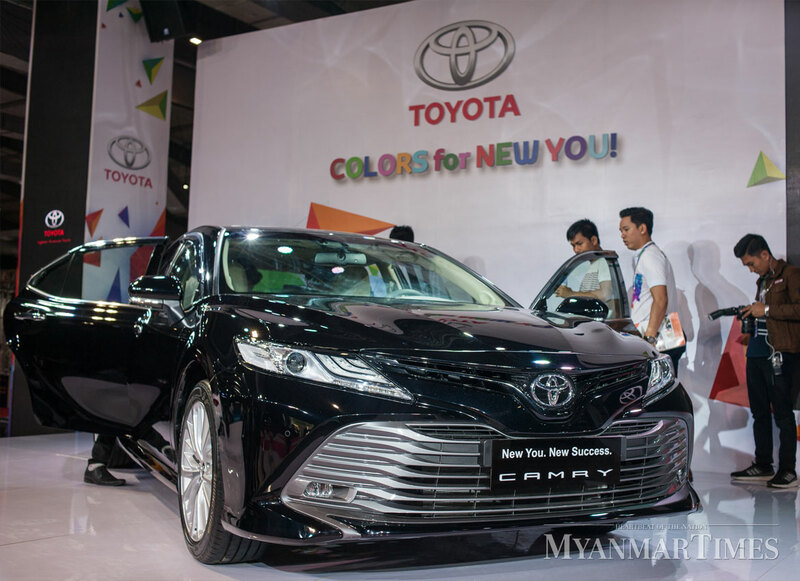 Another car fanatic, Ko Kyaw Thar Moe, said that he loves cruising around in his current Toyota Belta, which he has so far been unwilling to sell. Now though, some cars displayed by Toyota are catching his eye and he is considering a car for around K30 million. Other cars at the show are out of his price range. Unlike Ko Kyaw Thar Moe, Ko Hein Zaw has fallen in love with the BMWs on display. Although he is not here to buy, he said that he’s still saving up so that he can get the best brand. Husband and wife Ko Aung Naing and Ma Pyae Pyae Kyaw, said both of them are car geeks. While they were at the show just to look around, if things go well, they will consider buying one. “We’re Toyota-crazy,” said the Ma Pyae Pyae Kyaw. The couple prefers a saloon-type car and would buy one between K30 million to K50 million. During the first day of the show, The Myanmar Times witnessed crowds forming near Toyota’s area, followed by BMW. 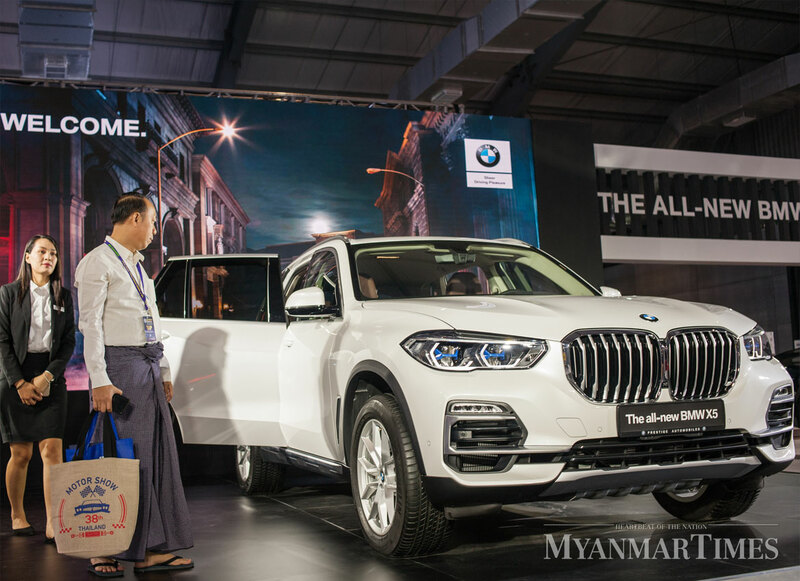 BMW Myanmar said that it will be displaying the all-new 2019 BMW X5 SUV to lure car enthusiasts. The motor show is organised by GPI Myanmar and Automotive Association of Myanmar (AAM).